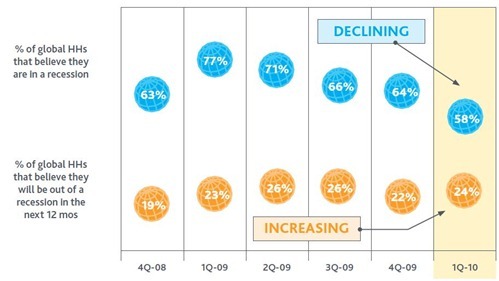 How do you really define a “Confident Country” – It is basically the confidence of the consumers living in that country. 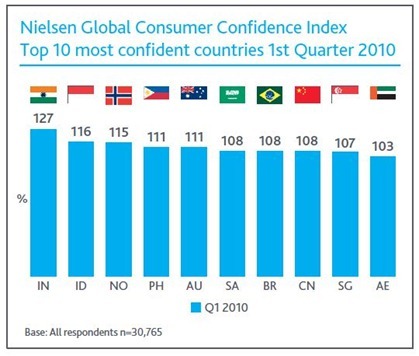 According to the Global survey done by Nielsen, Indian consumers are the most confident lot when it comes to their future & Growth, surpassing every other country in the world. 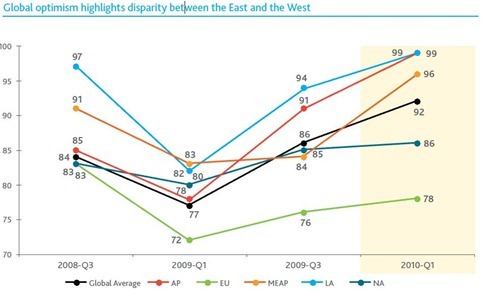 American countries compared to the sluggish recovery in the United States and western Europe. Now, How confident are you about future ? "Top 10 Most Confident countries in the world – India Tops ! ", 5 out of 5 based on 1 ratings. This survey must be based from the data in the metro cities.India is such a diverse and vast country so you cannot really map the data collected in the few cities to the entire nation as compared to any other country.